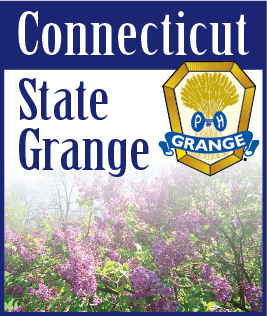 As we look forward to the coming warmer weather and the mud season, let us renew our faith in the Grange. We will look at denial. Forget the negative connotation of being in denial, denials go hand in hand with affirmations. We have probably all been guilty of the tendency to stop using ideas we have already learned and move on to something newer and trendier. The old idea seemed to be great but somehow it did not last. Why? Because we were trying to build a spiritual experience on top of a weak foundation. We all learn new ideas, they sound powerful. We try to place them into our way of thinking, but then it seems they stop working. That is because we are trying to place an excellent spiritual principle on top of our old beliefs. A new concept does not last because the old world view is still there, bubbling up from below the surface. Old negative thoughts rise into our consciousness, preventing us from becoming the person we really want to be. So we discard the idea and look for a new one, rather than deal with the underlying cause. Denials remind us of an essential truth. Limitation only has power when we choose to let it. The limiting belief will sabotage any useful ideas we want to adopt. Denials have an erasable or dissolving tendency. They cleanse the mind. Denials are powerful tools to shape our lives. Use them. Speak them aloud. Clear the way for new spiritual ideas to take hold and advance your spiritual journey.